Alliance Française of Kathmandu has been organising Les jeudis du cinéma (The Thursdays of Cinema) during September and for three weeks, movie buffs enjoyed an eclectic selection. From teenage comedy (The French Kisses) to classics (The Big Day by Jacques Tati), from drama (Violette by Martin Provost) to documentary (The Shebabs of Yarmouk by Axel Salvatori-Sinz), it was an exhibition of French cinema at its piquant best. Although the Thursdays of Cinema ended on 25 September, viewers will get the chance to watch more movies in the coming months. This time around, the finale featured Joann Sfar’s The Rabbi’s Cat. Sfar, who is a cartoonist, became famous after directing a live-action movie in 2010. In Gainsbourg: A Heroic Life, he portrayed French singer Serge Gainsbourg. The following year, Sfar collaborated with producer Antoine Delesvaux to adapt his own comics series, The Rabbi’s Cat, into an animated film. The story takes place in the 1920s Algiers, before Algeria’s independence, a time Jews and Muslims seemed to live peacefully together, but were despised by some French colonists. At the beginning, a rabbi’s cat starts speaking after he eats his master’s parrot. As a result, the animal then becomes an astute and sarcastic observer of religion, and exposes some inherent incoherences when it wants its own bar-mitzvah to become “a real Jew”. The quiet life of the rabbi and his cat gets further disturbed by the arrival of a strange Russian Jew who fled the anti-Jewish pogroms taking place in his country in order to reach Ethopia, the “African Jerusalem.” A hectic road-trip across Africa starts instantly, and the two Jews are joined by a sheik, an alcoholic, a painter, a donkey and the cat. This adventure, beset with fear and violence, turns out to be an enlightening voyage. 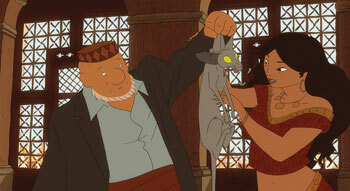 In his second movie, Joann Sfar also makes two implied references. 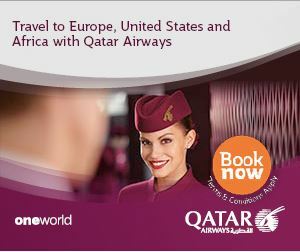 First, he fools around with Tintin, Hergé’s famous comics character, who is portrayed as an arrogant, colonialist hunter. Then he invites in a fellow cartoonist, Ivorian Marguerite Abouet (author of the brilliant Aya of Yop City) to play the voice of the ‘African girl’. The film’s script might seem disjointed at times as different characters wander in and out. Perhaps, this is because Joann Sfar adapted only three out of five volumes of his comics series. Still, the film is a sequence of short pleasant stories, all of which address religious issues with humour. Sfar notes the complexity of multicultural dialogue and the absurdity of religious fanaticism. With the bright colours of the 1920s Algiers and the Arabesque music from the Maghreb that remind you of hookah scents, The Rabbi’s Cat is purring for your presence. Our history is glorious. But, sadly, we cant live there. We have to live in the present, and plan for the future. 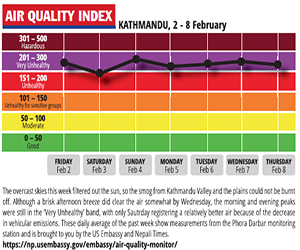 Where are you, all you doctors, engineers, artists and authors of the 1990 Kathmandu Spring? Where are you when the country needs you again? We need, in Kathmandu, to look closely at how cities succeed against the odds, while we rot on the vine.